The rise and fall of technology through pop culture is a tricky labyrinth to pin down. Almost every writer and pop culture connoisseur alive has probably tried to conceive of their own meta take on the world of entertainment, where their minds, imaginations, and passions first took root. 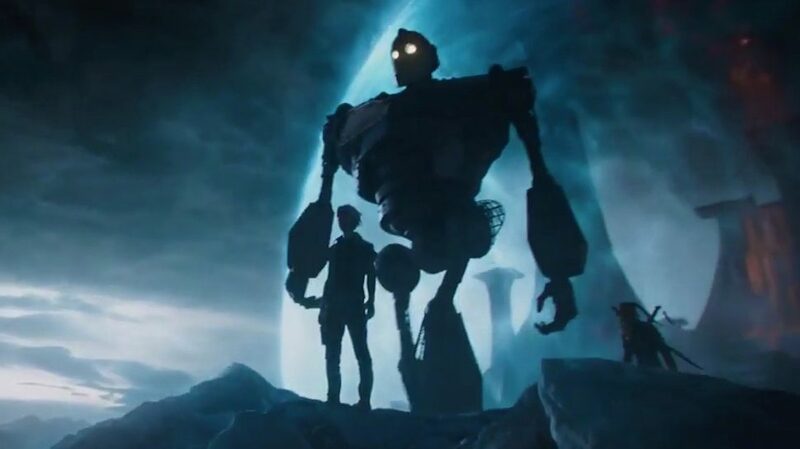 However, no story had ever truly done it until Ernest Cline’s Ready Player One and no movie has ever done it until now with Steven Spielberg’s imagined adaptation. The film is every gamer, comic-book lover, ‘80s music appreciator, and entertainment junkie’s dream. It’s a thrill ride with almost no rules and boundless possibilities, which makes it one of the most exciting visual experiences in recent memory. This film puts Marvel “easter eggs” to shame in more ways than one. The only reference that Ready Player One really fails to make is to Willy Wonka and the Chocolate Factory, which the story takes significant inspiration from. It follows teenager Wade Watts (Tye Sheridan), one of the countless players in a virtual reality game called OASIS, as he escapes his poverty stricken life in 2045 to enter a world expanded beyond his wildest dreams. He competes against millions of users to find the game’s Easter Egg that was left behind by its creator after he died and holds the keys to the game’s control as well as half a trillion dollars. 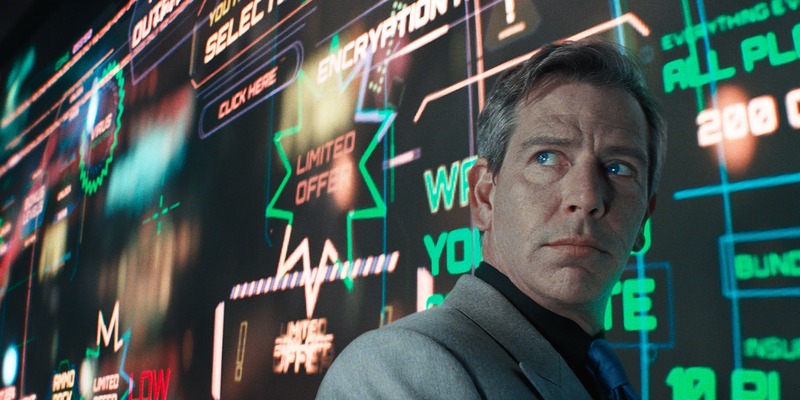 Going it alone until that point, Wade must band together with other players to save OASIS from Sorrento (Ben Mendelsohn), a businessman wanting to take the spoils of the game for his own corrupt purposes. The film’s world building is extravagant. Spielberg spares no expense in creating a visual world beyond compare, both in and out of the game. From the post-apocalyptic Columbus, Ohio, to the computer-generated world of OASIS, — spanning manipulated Brooklyn Bridges, war zones, and even inside of Stanley Kubrick’s The Shining — the attention to detail is incredible. The fast-paced action within these imagined settings creates even more splendor for the viewer. Cutting back and forth between reality and the game is smooth and effortless, never knocking the audience out of the moment. As most films based heavily within imagined worlds go, the greatest parts of the film manifest in the setting up of the world, the characters, and the story. The majority of the fun is found within the first hour, particularly in the audience’s first introduction to the game’s main challenge. This takes place at a huge car race across the Brooklyn Bridge, featuring driving that would make the Fast and Furious franchise sweat, as well as a million moving parts and an appearance by the one and only King Kong as the “level” boss to beat. Moving past this set up and meeting all our main players, the film does fall into the trap of its villain Sorrento, and his devious — and at-many-times corny — machinations. This also includes Sorrento’s sidekick, whom we never meet in the real world, but the audience will recognize as the voice of T.J. Miller, there solely for the unearned laugh. As a result, the rules of the world are sometimes muddled, and the third act, while just as fun as the rest of the film, takes the viewer out of its entertainment and into questioning its believability within its own made-up world. Regardless, Ready Player One does great toward many of its characters. Sheridan in the role of Wade is fresh and doe-eyed, but with a determined strength clear in his experience as an actor. His love interest, Samantha/Artemis (Olivia Cooke), is a captivating character from her first introduction, carrying her weight of the action and agency throughout. While there are several other standouts, including a surprise performance by Lena Waithe (Master of None), none quite compare to Mark Rylance’s performance as OASIS’s creator Halliday. We know him now to be an Oscar-winning actor and Spielberg’s latest muse (Bridge of Spies), but what he pulls off in this film is quite remarkable, as he takes a shy man at the end of his life and gives him the wonder of a child while never losing the gravity and entertainment of the character, much like a Willy Wonka for a new generation. 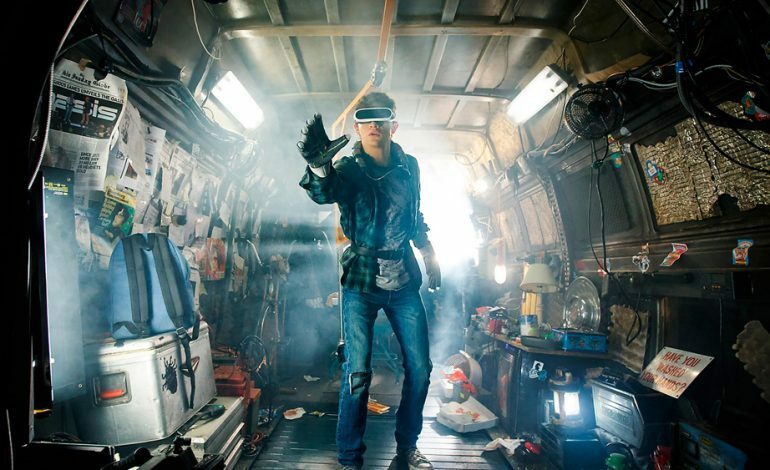 Ready Player One, while suffering a few hiccups along the way, is a true thrill ride from start to finish. Even if you haven’t read the book (like me), or know all the gaming; comic book; movie; television; music references, the film tells an undeniably captivating story and classic hero’s journey with a barrage of fun characters all playing significant roles. The outcome of the film isn’t going to shock you, and the riddles aren’t on par with The Usual Suspects, but the puzzle pieces fit together for an immersively entertaining experience, and I don’t believe there is too much more you can ask of it.